Reelz didn’t exactly set the bar terribly high with its inaugural foray into the field of original hour-long dramas—if anything, the D- Ryan McGee doled out to Steven Seagal’s True Justice may have been a little charitable—but give them credit for showing a little better taste when it comes to picking a sophomore effort. 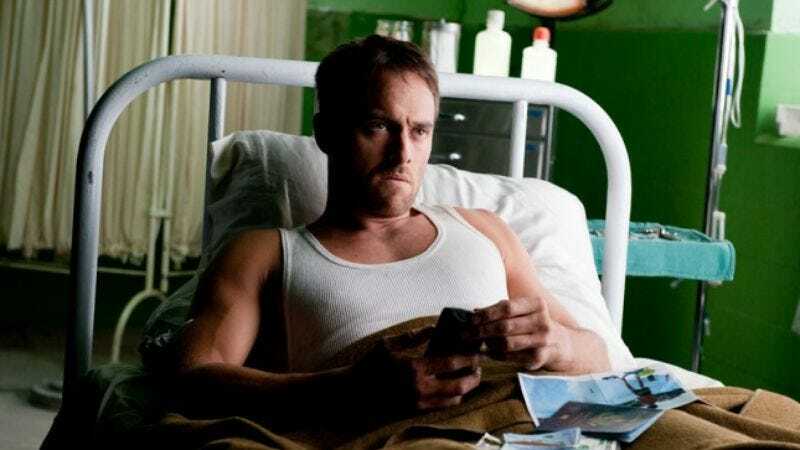 The origins of XIII, which stars Stuart Townsend as an amnesiac secret agent, actually date back to the mid-1980s, when a Franco-Belgian comic book first introduced the character. Since then, there’s been a video game featuring the voices of David Duchovny and Adam West, not to mention a 2008 miniseries (XIII: The Conspiracy) starring Val Kilmer and Stephen Dorff, which you may or may not have noticed when NBC gave it a relatively fanfare-free airing back in February 2009. Because of the European origins of the source material, the XIII franchise has never had quite the same recognition level here in the US, which is now doubt why we’re getting the first season of the proper series of XIII over a year after it bowed in France and Canada. Not that you’ve probably been sweating it, but viewers who missed the miniseries needn’t worry about feeling too out of it: although the first episode taking its time doling out bits and pieces of information about what’s gone on in XIII’s life up to this point, everyone will likely be on some approximation of the same page by the end of the proceedings. First, there’s a relatively rapid-fire opening sequence which reveals that XIII (Townshend) is currently cooling his heels in a Romanian prison. Within a few minutes, though, a guard has helped to fake XIII’s death and get him from behind bars and to “someplace safe,” according to Irina Svetlanova (Virginie Ledoyen), the gorgeous Russian woman who’s by his bedside when he wakes up. Irina doesn’t waste any time offering him the chance to help find out more about his past, offering him a photo—ostensibly one of him fishing as a boy—in exchange for “a small favor.” Seems there’s a safety deposit box that only XIII can open, and although Irina claims she doesn’t know what’s inside it, it’s apparently something that her bosses really, really want to get their hands on. Having been fooled before, XIII is hesitant to accept the offer, but you will be unsurprised to learn that she manages to sell him on the plan in the end. But, hey, guess what? Turns out XIII’s “death” has trigged alarm bells in Washington, specifically with Director of National Intelligence Sam Amos (Greg Bryk), who knows full well what XIII is capable of and doesn’t believe for a second that he isn’t still among the living. As such, Amos sends a bunch of his boys to find XIII and take him down, but before that encounter takes place, XIII has decided that he’s not going to follow through on his end of the bargain he’s made with Irina until he’s had the photo authenticated…and it’s at around this point that things get temporarily confusing for those who didn’t see the original miniseries. In that adventure, XIII got help from a gorgeous photo shop owner named Sam (Caterina Murino), and, having apparently gotten plastic surgery since then to look less like Stephen Dorff, she doesn’t recognize him at first when he comes in and asks her to verify the legitimacy of the photograph, which she does. Okay, enough unabashed recapping. Once XIII opens the safety deposit box and pockets the contents, the series begins to take off, offering up lots of gunfire, the execution of a so-preposterous-it’s-awesome plan by XIII to slip into the White House without dealing with the Secret Service, and, best of all, the introduction of Aisha Tyler as his former colleague—and, yes, former lover—Special Agent Lauren Jones. New viewers are also introduced to former President Wally Sheridan (Ted Atherton) and current President Ben Carrington (Stephen McHattie), Amos is painted as being more than a bit duplicitous, and Irinia’s allegiance is also made more mysterious. Go ahead, we’re all friends here, it’s okay to say what you’re thinking: XIII is kind of like what 24 might be if they gave Jack Bauer amnesia. But since 24 is long gone, is there really anything wrong with enjoying a spiritual clone of the show? Yes, there’s a general feel of straight-to-video action thriller about the proceedings, but Townsend is a strong lead, and as long as the mystery unfolds in a reasonably expedient fashion, XIII could prove to be a fun, if relatively light, ride. Oh, sure, we could just go online and read the reviews of the first season, since the whole thing already aired in Canada on Mystery TV and Showcase last year. But where’s the fun in that?